We provide a strong family-oriented work environment where integrity and great service are key to everything we do. We are a premier landscape company that has been a leader in the hardscape industry since 1985. Bahler Brothers was founded by 4 brothers -- Tom, Steve, Lloyd and Phil. 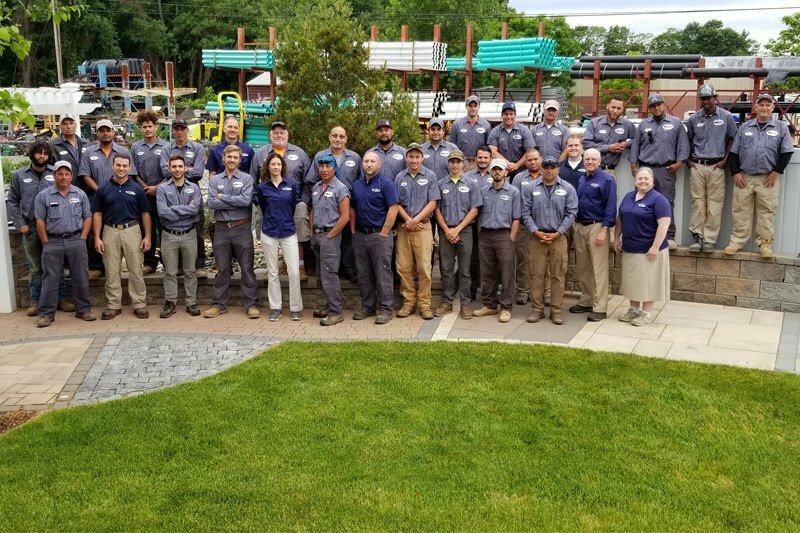 We are fortunate to have some incredible expertise and talent on our team of Outdoor Living Professionals - from sales people and designers to foremen and laborers, some of whom have been with us for 20 years or more. Every one of our team members learns early on that our dedication to quality and attention to detail is the key to serving you, our customer. Building according to Bahler Brothers Standards allows us to give all of our customers a hardscape warranty of 5 years, exceeding industry standards by 3 full years. We work hard to build a collaborative working relationship with our customers and deliver a beautiful project above and beyond their expectations... providing a professional experience on all levels. At Bahler Brothers, our team is our most important asset. Without the hard work and dedication of our incredible team, we would not be where we are at today. We strive to make sure each and every one of our Outdoor Living Professionals knows how important they are to the team and how thankful we are to have them. It is our goal for our customers to feel the same way. We can't promise your project will go off without a hitch, but we can promise that you will have a friendly, supportive team working around the clock to make sure things go as smoothly as possible. We pride ourselves on providing the best service in the industry. It's our goal to deliver what we say we're going to deliver 100% of the time. Nothing is more important to us than the quality of our work. We won't leave a job site until you're satisfied. We are a team of humble, honest, hardworking people who care deeply about our customers and their satisfaction. While not everyone on the team shares the Bahler name, we are ALL family. Our goal is to help your family with all your outdoor living needs! Want to join our awesome team? We are always looking for hardworking, talented people to join our team. We offer competitive pay and benefits and provide a family-like work environment. Find the perfect job for you at Bahler Brothers.